Hello, Just wish to tell you that the furniture we purchased was delivered swiftly and is beautiful! All set up and ready to go. I want to send a special thanks to you all for such quality & prompt service. We couldn't be more pleased! You are wonderful to do business with and we will be doing more in the near future, as well as referring our friends & family to you. I can honestly say that no one in our area has nursery furniture such as this. It is exquisite! Thank you again! Hope this note finds you well. I just wanted to let you know of the superb customer service I received from Lori. She was extremely patient, kind, knowledgeable, and empathetic. I started out with what I thought might be a simple inquiry, but as we continued to talk, other issues arose, and she handled every question and concern I had with incredibly good insight and suggestions. I was especially impressed with her tremendous resourcefulness and skill in thinking about issues from various angles. I took much of her time but she never made me feel rushed despite having a busy day ahead of her. Excellent customer service is very hard to come by and it makes a tremendous difference in terms of a consumer's willingness and enthusiasm to work with a vendor. Lori is a fantastic asset to your team and in no small measure, contributes to the overall success of your customer relations. She was instrumental in cementing my faith and confidence in purchasing furniture through Simply Baby Furniture. I made a large purchase for my nursery and look forward to my continued engagement with Simply Baby Furniture for my future needs. The Autumn Crib is Beautiful Easy to assemble and the crib is sturdy and seems very safe. It is just as I expected and I love the nursery now that I have the crib set up. I am definitely wowed by this crib. So much gratitude for the customer service I received from Latoya today!Just wanted some there to know that Latoya help me solve two enormous puzzles today and enabled me hone in on just the baby gate that meets my particular needs (I need two of them) and just the crib I need! I'd spent hours trying, unsuccessfully, to figure it out for myself. Latoya understood just what I needed and went right to the items that would work for me. Very shortly, I'll be placing my order online, but I wanted you to know what a difference she made to me. All the best, with real gratitude for your website and your very special employee. I purchased this set for my daughter and our new grandson...our first grandchild and we all love every piece. It came in a few days, was in excellent condition, and our pieces matched perfectly. The quality is excellent!! The customer service from Simply Baby Furniture was far above any other company we had questioned prior to purchasing. I had questions and when I called they took the time to help and be sure we had what we needed to make our nursery PERFECT! THANK YOU SO MUCH!! thank you for all of your hard work, help, and efforts. This is going to be our second child and also the second time we have ordered from simplybabyfurniture.com. The products are great but the customer service goes above and beyond and certainly makes us want to come back. You will definitely have our business when we have our 3rd child. Great job, Monica! My wife and I recently placed an order for a crib. There were a few issues that needed to be handled through customer service. I want to say a special thanks to your rep Monica @ext:306. She was by far the most helpful customer service rep I have dealt with in a long time. Her willingness to go above and beyond her duties was a breath of fresh air. It was truly a pleasure dealing with her and I am extremely thankful for her help. Thanks again. First of all, I don't think you can go wrong ordering anything from this company! I ordered both of my kids' bed sets from Simply Baby Furniture and I have not been disappointed. I love the low prices on the furniture and the free shipping. Plus, the customer service is real and they are very very kind and helpful! I ordered a DaVinci crib set with my son and we have had it for 2 years without any issues. We ordered the Jenny Lind (same brand) crib for our baby girl, and I absolutely love it! This bed has been around in one form or another for several years and it still has that same classic look and durability. My 2 yr old has climbed all over it and it is very stable. My husband was a little worried that it didn't look as sturdy as my sons' crib, but it really is well built and is a great price. We bought the bed because I liked the antique look of it, but the price was amazing too. This is the best place and price you will find for this crib. When we got the crib in, the shipping company somehow put a hole in the box. When my husband went to assemble it, there was a scratch on the crib and it really left me unsettled because we had had such a great experience with our 1st purchase a couple of years back. However, I contacted customer service and they had a new rail shipped out to me the next day, at no cost to me. So, I can truly say they made this experience worth while and I really do trust them! You can't go wrong with this bed or this company! Great place to buy baby furniture! Grandma's VERY Happy! Ordered for daughter 1500 miles away. You made it easy, she got it fast, and they LOVE the look, quality, and comfort. Grandma couldn't ask for more! This is my second major purchase from you and I continue to be very satisfied. Thank you. Please tell your owners that you guys have been absolutely fantastic to work with. By far the best and most responsive experience that I have had in retail. Reminds me of the Ritz Carlton service experience that I get when I travel. You are world class. The new desk is coming Wednesday and I am excited to give it to my daughter. Thanks again. You have a customer for life. I just want to say thank you to your customer service reps they have been so nice and easy to talk to about my damaged crib. They listened to me and acted VERY quickly to resolve the concern with the manufacturer. So I just wanted to pass that along ! Keep up the good work you all are great! THANK YOU LINSIE!! Sometimes people don't realize how truly grateful military families are to businesses that offer a discount! It is very much appreciated and you have our business because of it. Thanks again! This changing table is awesome and yes, the top is removable to be used as a dresser when the child gets older. (SouthShore Cotton Candy Three Drawer Changer � White). I use this changing table for my daughter and absolutely love it! The only downside to it was that it came in a million pieces and took my husband all day to put it together. Other than that, this is a great product and I recommend it to anyone! Thank you for making my first buying experience a pleasant one. My grandkids love the table and chairs you helped me pick out. The size and quality were both just right. My crib set arrived in great condition this week. Assembly of both the crib and changing table took approx. 3 hours total and I have now the most beautiful nursery. My MIL was taking pictures and sending to her friends. I was worried about the Da Vinci product line, ordering online, but couldn�t be more pleased. It is a nice quality set in person and looks amazing. I wanted to send in a personal note to the customer service rep that helped me with my order. Her name is Monica and she was very helpful to me. I wanted to personally thank her for helping me with my order. I had picked out 2 different colors by accident. If she had not called me to verify my order, I would have had to return the incorrect piece. Thanks a ton for the above and beyond to help me out. I recently ordered nursery furniture from your website, but had some issues with my delivery address. I called simplybabyfurniture and spoke with Ali. She went out of her way to help me fix the problem. She called me back numerous times, contacted FedEx for me, and solved the problem. She was extremely helpful - I felt that she went above and beyond what I might expect in this type of situation. I was very impressed by her level of service. Because of the personal attention I received from Ali and the ease with which she handled the entire process, I would certainly use this website again in the future. Give Ali a raise! She is great! My husband and I recently purchased the Eden Madison crib and dresser set from Simply Baby Furniture. While we had an unfortunate situation where both the dresser and crib were delivered damaged, I wanted to let you know that our experience working with your customer service representative Monica was an absolute pleasure. She was very helpful, prompt, knowledgeable, and courteous as we worked through the issue. Our baby is due in 3 weeks and we were initially very upset and nervous about the furniture and the condition it arrived in but Monica put our minds at ease as she helped us address this issue and work through our options. While it was an unfortunate situation and we of course wish it had never happened, Monica certainly helped make it easier to deal with as we came up with a solution. I wanted to let you know what a pleasure she was to work with and that she certainly seems to be an asset to your company. I do at least 95% of my shopping on the Internet and have for about ten years. Products/Merchandise can be bought anywhere. But it is the etiquette, competence and ease of doing business with a merchant's CUSTOMER SERVICE Representatives that determines whether I am return customer. There are many on my list of TOP NOTCH companies and regrettably a few who are below my standards. They do not get my business. SIMPLY BABY FURNITURE has been elevated to my TOP 10 List of Merchants to continue to do business. Obviously, it knows the value of its customer base and takes pride in is company. More importantly, I sense through you what really counts: COURTESY! A lost art. More than loving [this] Sorelle product, I can say that buying through Simply Baby Furniture is the absolute best experience we've had. We bought our first baby's nursery furniture through a nationally knowing retailer, paid twice what we paid for this one, and the quality on this one is better, the customer service was outstanding - better than we've experienced for a long time. For both our furniture sets (with our first baby and this one) the items we chose were on backorder. Simply baby furniture kept in constant contact with us and contacted the manufacturer frequently to find out what the delay was, when was the expected delivery date, etc. Just received the rocker and it is awesome! Impressed with the fast delivery, service and price. What a great website. Wonderful customer service. Consider yourself complimented. Kudos to Simply Baby Furniture! Hi Cindy, Thanks again for your prompt follow up and assistance. Your customer service attention was superb, to say the least! Thank you for the ease in getting the replacement part. I was surprised how fast it got here. I am also very impressed with your customer service. Because of the quality of service and the affordability of your products i plan on using your website again. Thank you very much Lisa!! Should get here just in time for out little girl to be here also :) you have been most helpful and I will definitely recommend you guys to anyone I come into contact with. Have a great day!! I have been so impressed with Simply Baby Furniture! They have a great selection and excellent prices. Their customer service is first rate! My wife and I ordered a crib and dresser, but after seeing them in person, we didn't care for the color. Even though we were right at the 30-day return deadline, the helpful customer service agent extended it so we would have time to send the items back. We ordered another crib and dresser from them immediately after talking with that customer service representative. Four days later, the new furniture arrived and we love it! Add to that, they gave us a 5% discount on the new order! 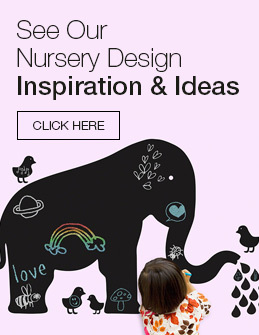 We will definitely recommend Simply Baby Furniture to anyone we know who is preparing a nursery! I love this nursery set! We were a little worried at first on what it would really look like. It arrived in excellent shape and love the color. It was a great customer experience. They were great on assisting me with everything I wanted to know. The staff is always so friendly and a joy to work with. Great customer service! I would for sure recommend dealing with them. In fact I just placed another order. I cannot thank your personnel and your company enough for the assistance and help in getting a set to us. I appreciate all that you have done with this order and highly recommend your service and products to all. Cindy, I wanted to take a few moments to thank you for your help in ordering our Da Vinci "Emily" Crib set. It has arrived, been assembled, placed and is absolutely beautiful. Both pieces arrived exactly when you told us they would, all parts in tact and undamaged. Also, we are pleased with the price and the excellent service you provided. Thanks for making this a stress free part of building our nursery! We will absolutely recommend www.simplybabyfurniture.com to anyone in the market for baby furniture! Thank you so much! Thank you again for the great customer service. My wife and I have been very pleased with your commitment to customer service and are glad that we made the decision to purchase our nursery set from you versus Babies R Us. Thank you for the prompt response! I received the shipment today! Your customer service has been excellent. Linsie, I just wanted to let you know that using Simplybabyfurniture.com has been a GREAT experience! The changing table that we ordered arrived quickly and when there was damage the company handled the siutation quickly and conveniently. I will definitely use this website again in the future. Thanks so much for your help! We just ordered a table and 4 chairs from your company for one of our grandchildren and he loves it! Finally, I ordered just the right gift. Thank you for a great product and timely delivery. Your distribution team came through for me. Have a Happy New Year! It is difficult enough to walk into a store and get the help and attention you need. The day after I ordered this chair, a representative called me to let me know that my order was being processed, and gave me an estimate on time of arrival. The next day, I received an e-mail that prominently featured the e-mail addresses of the President and Vice-President of the company, expressing that if I had any problems or concerns to contact them directly. Whether this is a company employing 10 people or 500, the concern for customer satisfaction and the accessibility to the \"higher-ups\" is worth the extra few dollars I may have spent on the chair I ordered. Not to mention, the chair is great. I will definitely order from this company again. I recently purchased a crib from Simply Baby Furniture and could not be more pleased. The crib is sturdy and attractive, the shipping time was incredibly fast, but more than anything your customer service was outstanding. I have never before encountered such a positive, helpful, pleasant furniture-buying experience. Thank you! The chair was top quality! Well worth the money. I was extremely satisfied and I have to note that the customer service received went way beyond my expectations. All my questions were answered quickly and shipping was fast. A great place to do business with. I highly recommend this website. I'm so incredibly happy with my overall experience with this company and with our purchase! First off, the price was almost too good to be true, with NO SHIPPING COSTS! The pieces came VERY quickly, after we were contacted by a customer service rep who just wanted to make sure that everything went smoothly. The directions were relatively easy and the furniture looks GREAT in our nursery! I highly recommend this company and the pieces that I purchased. I never write reviews, but I had to in this case. This website is a great...GREAT...website to order any furniture from. I received the crib within 2 working days after ordering it!!! It was in great condition and was listed for the best price I could find anywhere. I wish I would have found this website earlier; easily the best furniture website out there!!! Thank you for taking the time to look into this matter... This is the second piece of furniture that I have purchased from your site and will continue to do so. Thank you for the fast response and good customer service. I ordered a crib and changing table from your company today and needed to call with a couple questions. The customer service was exceptional and I was provided with a 5% discount. I wish all transactions were this pleasant. Thank you for your assistance. Thank you, everyone. I love the site and WILL use it again! To the executive management of simplybabyfurniture.com, I had an opportunity to call your company on Feb. 11 at approx. 4:30 est and again on Feb. 12 at approx 5:00 est. I would like to thank you at simplybabyfurniture for the wonderful service and kindness extended to me by Cindy and Alicia. The service I received was excellent and these ladies were kind and considerate, taking much more time than I expected to answer my questions and resolve my issue. simply baby furniture is very lucky to have such wonderful people representing their company. I just wanted to say thank you for helping us getting the correct replacement part. We finally got the bookcase together and it looks fantastic. We appreciate your help very much. Thanks so much! I'm very happy with the customer service, you guys rock! Wow! Thanks again and you too have a very Happy New Year! We will also be considering your company for any further purchases and sharing our experience with our friends and family. Your site really helped me make the decision about which crib to buy, it was so easy and great prices! A1, thanks so much for your advice Nicole - exceptional customer service. Great quality. Super fast shipping!!! Thank you! Beautiful piece of furniture, great quality, quick delivery. Thanks so much! Fantastic seller!!! Item arrived on time and as advertised. Highly recommend!! Beautiful item. Great seller A+++ will do business again with you. Thank you! A++++. Love the bed and so did he! Only problem was scratches on the footboard! But with one call the problem was solved... thanks again. Awesome dresser, had to put together but absolutely beautiful! Great Seller! Excellent quality, quick shipping, I want to let you know that you have been very easy to do business with. Crib is beautiful, thanks. Thank you so much for all of your help in getting me the crib in record time, my precious will love it, your customer service is second to none, a big thank to Teresa - you are amazing. I ordered a crib set from you guys and I just wanted to thank you for the fast delivery and great customer service. This is my first baby and when I called with questions about mattresses and shipping your staff was more than helpful. Thank you so much and I will definitely order from you guys again. I wanted to say thank you Simply Baby Furniture for giving the best service, you did a great job helping me and I will be ordering my second crib and a dresser very soon! Thank you so much for your help...you don't know how much it has helped me! You find so much different information online that it gets to be so confusing! I am VERY looking forward to placing my order with you. To whom it may concern, I wanted to take a moment to let you know what a wonderful service your 'online chat' is to customers. Over the past few weeks I have had several occasions to work with Amanda. I have asked her questions from colors, to comfort to changing orders and tracking items. Each time I have worked with her she has exceeded my expectations and answered all of my questions. My experience with your company has been top notch and I have already told friends. I have to say your customer service ... has been outstanding. ...simplybabyfurniture has well exceeded my expectations for customer service, and I would like to personally thank you, Kym, for all of your great help. I look forward to doing business with you in the future. Thank you very much. Good morning Kym: I received the parts yesterday and they are in good condition. Thank you very much for staying on top of this for me. It's important to customers to know there are people like you on the other end looking out for our orders. I look forward to doing more business with Simply Baby Furniture in the future. I had some confusion regarding the way their shipping confirmation email was laid out. Their customer service rep got back to me promptly when I had left a message and cleared things up for me right away. She also went out of her way to contact the manufacture to confirm shipping dates. She was very nice and polite. Great to talk to. Amanda, Thank you for all your help. I did receive this doll stroller yesterday...just in time for my granddaughter's birthday. It is beautiful and she loves it. Thank you very much for your attention to this matter. I truly appreciate it and will recommend your site to others! I wanted to let you know about the great customer service that I have received from your employee Lisa. We ordered a crib/changing tower from your company last week. The color in the picture showed a light oak color and the color stated Oak. We received the items yesterday and the boxes were labeled Honey Oak... Yesterday afternoon I got on your live chat, which is a very great feature of your website and I talked to Lisa. I explained to her the issue and that we wouldn't have ordered the items if the website said Honey Oak...She reassured me that she'd research our issue and get back to me ASAP. Not more than a couple hours later she called me with a solution and she also said that the web director would be updating the website so this would not be an issue with future customers. I really appreciate Lisa's help in this manner...I also appreciate your company taking responsibility for the confusion and addressing the issue with your website. We are going to reorder from your company and appreciate all of Lisa's help. Hi Lisa, Thank you so much for your help, this is a great relief!! We did not open the second package and can put it outside our door as soon as we get your confirmation email. Hello, Thanks for your response. The replacement part arrived on Wednesday and it looks fine. So we will discard of the damaged panel. Thanks again for processing this so promptly - you made this very easy! Thank you. I will do some browsing and my end up purchasing another piece of furniture through you (toy box or changing table). Everyone there has been very polite, professional and helpful. I realize that the crib I ordered is on backorder at just about every outfitter there is - it must be a popular crib. Hi Kym, We received the rails today. I just wanted to thank you for being so helpful and responsive during this entire process. If you're not the manager, please let him or her know that we very much appreciate your excellent customer service! Lisa was such a help! She went out of her way to get me the information I needed to make an informed decision. I think I'll be buying 3 doll carriages! Wanted to thank you! My grandson received his new toy box and they just loved it. The price was great, the free shipping was great. So the overall experience was a good one. I will now continue to shop and tells my friends also. Good Afternoon, Thank you very much for your prompt reply and for sending the Jayden crib. We are looking forward to putting it together and preparing for our new addition. We will share your website with family and friends and let them know that our experience ordering our crib from you was wonderful!!! Thank you And thank you for being so easy to communicate with by email on this order. I will keep you in mind for future purchase and will also recommend you to my friends and family. I wanted to thank you for making the extra effort in getting me my order in a timely fashion. Thank you so much for getting back to me so promptly. Both the crib and the mattress just arrived. The service from your company has been great: much better than at Babies R Us. Thank you for your professional response to my mistake. In a time of companies not caring about the little guy, you have excelled. I appreciate the quick response and I will have no problem recommending your company in the future. I just want to let you know that once again I have been impressed by the level of customer service provided by SimplyBabyFurniture. I called to check on the availability of an item and Alicia went above and beyond to fulfill my needs by providing me multiple options to consider in order to possibly get the product quicker. Due to this experience coupled with my seamless first order...I will definitely recommend SimplyBabyFurniture to all my friends and family. Thank you very much for all your help! You communicated with me much better than the manufacturer did and I appreciate it! I also want you to know that I recently recommended your website to my sister in law and a friend who are shopping for furniture for their expected little ones. We have another grandson on the way and will definitely do business with your company in the future. I just wanted to say thank you for being helpful and prompt throughout my order. We received the replacement part and got the bed together! We are so excited and I was pleased with your service. Dear Lisa, Thank you very much for the quick response and the solution to my problem. I'll sure to come back to purchase stuffs from your company and will tell my friends about it. Cindy-- Just wanted to thank you so much for your message yesterday, and for taking such care with my order. You, Alicia, and everyone I've had contact with at your company have been outstanding -- so nice and helpful, and I really appreciate that so much. You're terrific! Thank you for the second replacement. It is in perfect shape. I appreciate you working with me and it is a beautiful crib! I will recommend you to my friends. I just wanted to compliment your company. I originally ordered my furniture set in the wrong finish and you changed it to the correct finish quickly. Even though the crib in the wrong finish had already shipped, you let me return it without an additional cost! The other 2 items arrived quickly and when promised; even ahead of schedule for the combo changer. I am very pleased with the product but especially pleased with your customer service!! This is our first child and you made the experience pleasant, unlike other nightmare stories I had heard about ordering furniture online. We will definitely be coming back to your company to order furniture when we have our next child. To whom it may concern, Thank you so much for the prompt delivery of our new DaVinci Twinkle nursery set! My husband and I are extremely pleased with the products and I had wonderful help from your customer service department. I will definitely recommend your website to all of my "expecting friends"! Dear Sir or Madame, I received the toddler bed I order the other day and put it together with my older son. I just want to say how happy both my little guy and I are with his new bed! It was a pleasure to do business with your company and I will highly recommend Simply baby furniture to others. i love your website and especially like that you offer the set / collection option. it's nice that you've already paired up items that match ... easier than going to the crib page, then the dresser page, etc. very convenient and your prices are excellent! I just wanted to let you know how extremely pleased I am with the pieces recently ordered from your company for my expected grandchild. The simplicity of ordering, the prompt acknowledgment and free shipping are beyond reproach. I could not have asked for or received a more pleasant experience in ordering over the internet and I so glad that I found you! Keep up the great work. Lisa, The furniture I ordered and received is better than I expected. It is for my grandson. The only reason I had to cancel the mattress was because the shipping date was moved back two weeks from the original shipping date. I am happy with your service and will recommend your company to all I know. Thank you so much! Your service is fantastic. I look forward to using your company again. I can't thank you enough for getting BOTH the crib and dresser sent out in record time. My daughter's delivery date has been moved up from October 16 to October 10 as of this afternoon. Having the entire nursery set up today is wonderful! We are very grateful to you for your excellent service. Thank you so much, I really appreciate any discount you can offer...It has been a pleasure working with Simply Baby Furniture. I had never heard of this company before, and I was skeptical to place an order. I have to say it has been one of the best shopping experiences I have had in a while. We have just adopted a son, our first child, and trying to get everything ready after a child arrives has been a challenging experience. Thank you for making it just a little easier! I would love to tell you how happy we were when we got our new bed! It was the BEST investment we have ever gotten. The bed was lots more then we had ever excepted ! I was one of these buyers that are very hesitant about buying anything on line. But I took a chance and I got the best of both worlds. I got a wonderful new crib for my new grandson and at a very great price! Hi Lisa, Thanks for the prompt response, we appreciate it! Great service. Woo hoo! Replacement parts arrived today, you guys are AWESOME (MDB too!!) Thank you SOOO much for expediting this process and making every step of the way SO easy and rewarding! The crib and dresser are both great - attractive and good quality, especially for the value! We are happy to say the least, and would recommend simplybabyfurniture.com to anyone! Less than 2 weeks from ordering, waiting for a couple of replacement parts to set up, I love it! Every store we went in said 6-10 weeks to order cribs and dressers . . this has been great! I must say, even though I really messed up this order....you guys are incredibly efficient and responsive to your customers. I am really impressed. If my, and I repeat, my errors in ordering are corrected on my charge card as you predict, this will be the most enjoyable interaction I have ever experienced on the internet. I thank all of you guys for your help and assistance in correcting my ordering errors. My new grandbaby thanks you too. As far as we know there is only one baby coming....so two cribs were not necessary.